To capture visual representations of ecstatic states with a paintbrush is a gift worth sharing. Though the work of Autumn Skye Morrison has been seen widely throughout the world, the opportunity to watch her paint live is rare. 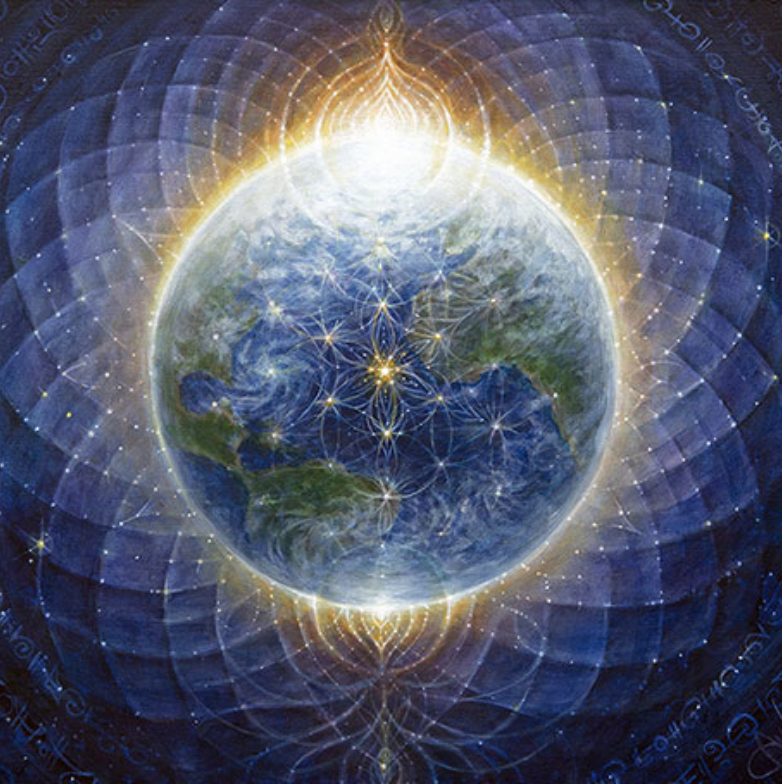 Visionary artists thrive on being around music, celebration, and dancing as they synthesize the collective energy created in this community and allow it to flow through them onto the canvas. 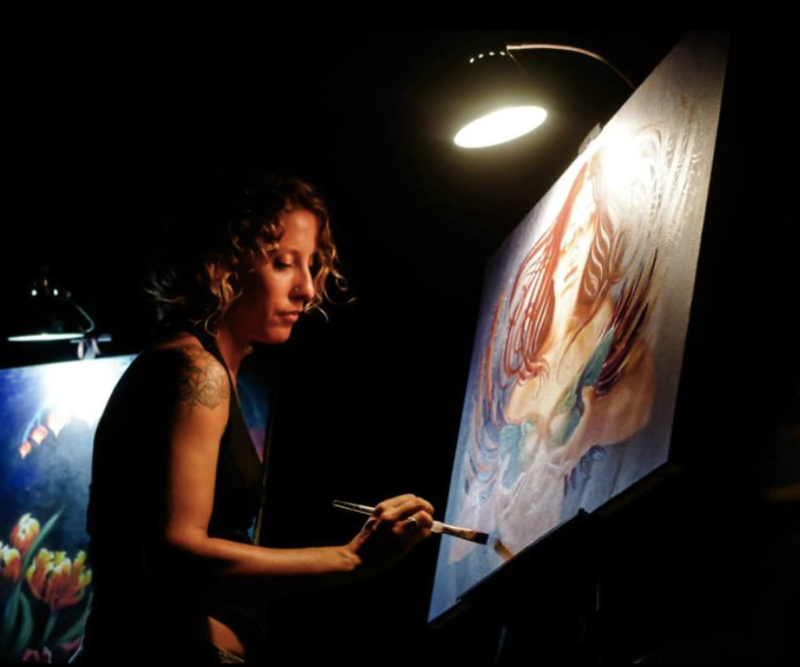 Starting January 22, and through February 2016 Autumn Skye Morrison will be sharing her exquisite artistry at festivals and art shows throughout Australia then heading to Bali in March to teach her Soul Portraits Painting Retreat. Born on a maple syrup and blueberry farm along the Parsborro Shore in Nova Scotia, She makes her home currently on the Sunshine Coast of British Columbia. Autumn will be appearing at Rainbow Serpent Festival, Earth Frequency Festival, Harmonic Visionary Art Temple and others. I had the opportunity to ask her a few questions about her upcoming trip and muse on her responses below. Tell me a little bit about the cross-cultural nature of art, your art, and how travelling to Australia benefits your work as well as the international Visionary Art Scene. Autumn Skye: I believe that we are all a part of a global movement, a creative awakening that is no longer dictated by what is “proper” or “in style”. We have the freedom of authenticity, and when we can join together from many parts of the world and walks of life, to co-create and cross pollinate, the outcome has a potential to be infinitely beyond what we can imagine as individual or insular beings and groups. How do you choose your subject-matter for your paintings? Autumn Skye: I usually begin each piece with only a loose idea, a seed of a concept, or a few fragmented elements. With such an open starting point, the possibilities are boundless of where the piece will take me. Sometimes it is a little clearer when I begin, and there are only slight surprises as it develops, other times I think I have it “figured out” and suddenly it will shift and flow in a totally different direction, and sometimes i just begin by getting splashy with colours and energetic brushstrokes and the imagery gradually comes clear. As a painting develops and evolves, often new animals, objects, figures, or symbols come to mind intuitively. I trust this as guidance and most often they will fit perfectly into the composition and concept of the piece. That being said, I also do not cling to what is already on the canvas, and often will spend many hours working on something, only to then suddenly paint over it or change it into something else. Only when I am able to step back from the painting after it is complete, am I able to witness it from a fresh perspective, and see that everything is in it’s perfect place and it all “makes sense”. The piece tells a story, far beyond what I consciously imagined it ever would. Each painting truly is a journey, and it never ceases to amaze and delight me. What most inspires you about other artists in the scene? 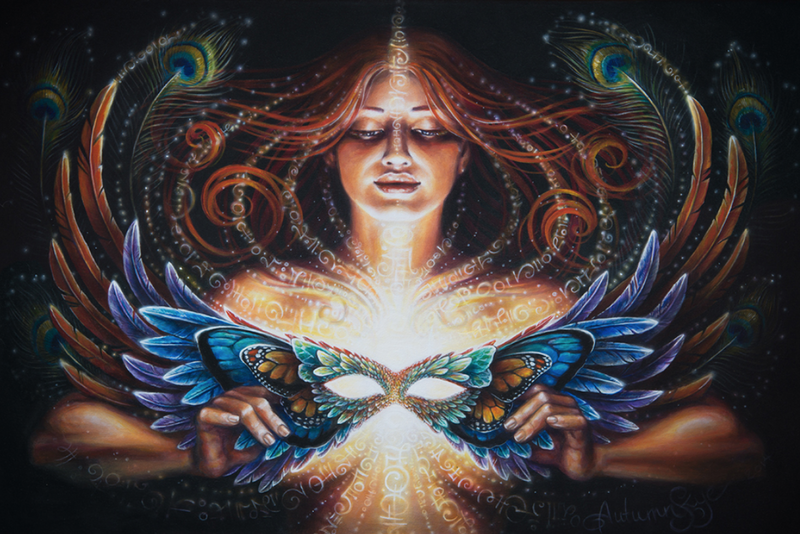 Autumn Skye: Each artist’s tool or vehicle may be different in how we honor the flow of spiritual inspiration, but I believe that the language of light is what we have in common. Each creation is an offering: a positive reflection of ourselves and humanity, a celebration of evolving consciousness, an opportunity for healing and deepening, a vision of a bright future and Now. 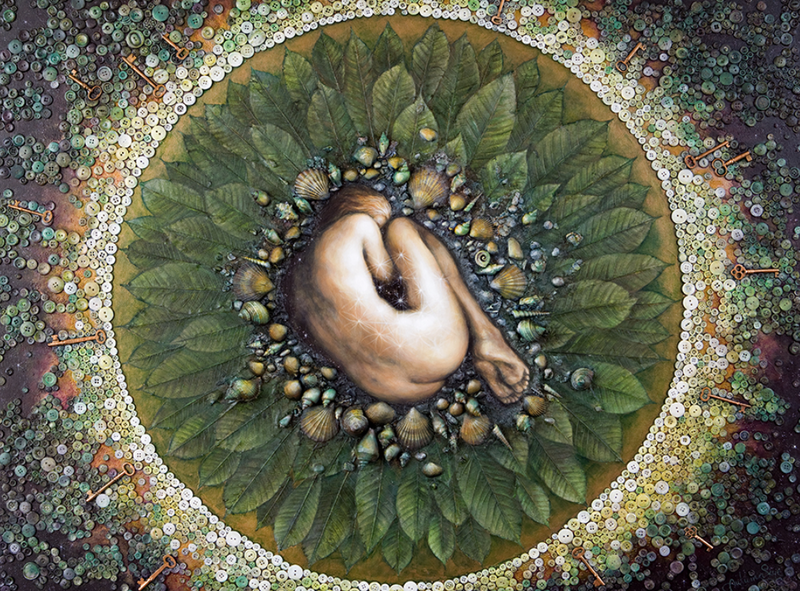 Autumn Skye: As in any form of art, when we release judgment, move past our mind, breathe deep into the process, and find bliss in each step; we realize that we are boundlessly assisted in our authentic and heart-centred expression. We are able to see that the art is not born of us, but through us, and in this knowing we are humbled yet profoundly empowered. I encourage any artistic being to allow the spirit to move the hand, to become the un-judging conduit for the creative energy that is moving through us. 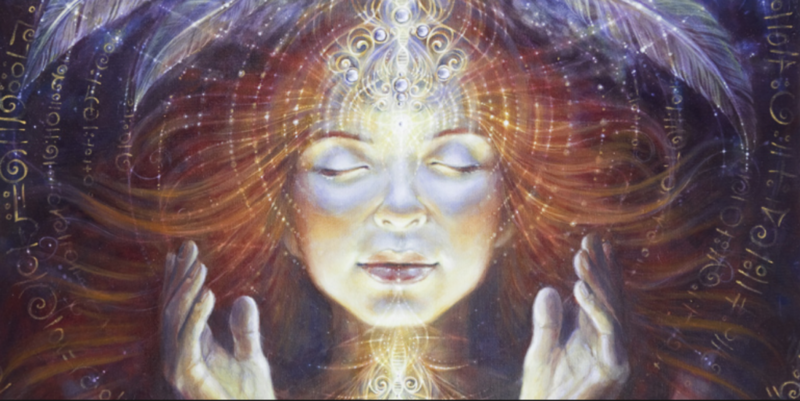 We are each unique, perfectly our own “filter” for divine energy, and though the source may be the same, our personal perspective is ours alone. Mimicry, “painting for the market”, or creating what we think is in style will only leave us feeling spent and drained. We must be authentic, and though it may echo of other artists’ styles, if it is truly honest and born of our own heart, it will inspire those around us and have more effect than we can ever imagine. Art is a living thing, it begins as a spark of inspiration, transmutes through our mind, effected by our own story and perspective, travels through our hearts and hands, emerges and develops on the canvas, and then journeys out into the world. So make art, your own art, take risks and let it out! What is the role of art and artist in the world? Autumn Skye: I believe that the role of the artist is especially crucial at this challenging and exciting time, while the world is at the precipice of momentous change. We have an opportunity to transmute the shadow and pain that we witness in the world around us into visions of wholeness. Artists are map-makers, and those maps can help guide humanity forward into new and positive ways of seeing and being. And so, I offer my paintings as a mirror; a reminder of our pure and good human heart, as well as our timeless divine spirit. To see more of Autumn Skyes Paintings, visit her website by clicking here.